Navras Jaat Aafreedi’s book puts focus on Southasian Jews. Navras Jaat Aafreedi’s book Jews, Judaising Movements and the Traditions of Israelite Descent in South Asia is a study of this influential religious minority. It delves into the history of Judaising movements, and engages with the lesser-known Israelite traditions within various communities in Southasia. Published by Pragati Publications in 2016, the book’s author, a scholar of Indo-Judaic Studies, hopes to stimulate interest of Indian academics in Indo-Judaic Studies. The book traces the presence of Jews in Southasia, which, according to “their records” goes back “for more than two millennia”, even though other historical records suggest their presence in the Subcontinent goes back around 11 centuries. 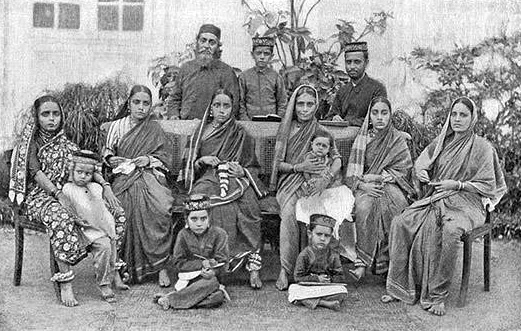 For most of their history, Southasia’s Jews have been living in present-day India, though they did establish small communities in what is now Pakistan and Bangladesh. Despite the shorter periods spent by Jewish communities in these regions, there have always been groups living here who consider themselves of Israelite descent. These groups including the Pakhtuns of Afghanistan and Pakistan, Kashmiris, Qidwais and Bani Israil clans of India trace their origin to Judaism given the similarities of traditions with the Israelite Jews. Some of these similarities have been written about including by Yitzak Ben-Zvi, a historian and the second President of Israel, who in his book The Exiled and the Redeemed recorded testimonies provided by Afghan-Jewish immigrants to Israel about Pathan practices that are Jewish in nature: the lighting of candles on the Sabbath, keeping of long sidelocks, wearing of shawls resembling tallith, the Jewish prayer shawl, circumcision on the eighth day after birth, and the Levirate – in which a man marries his brother’s widow. Among the Muslim groups, the Qidwai/Kidwai and the Bani Israel, trace their descent from Jews and not necessarily the lost tribes, unlike the Pashtuns and Kashmiris, who claim descent from the lost tribes of Israel. Pashtuns and Kashmiris believe that the biblical stories, particularly those of them which are also found in the Qur’an, are actually historical events and the characters in these stories really did exist. In terms of evidence, all that these groups (and all those who support the theories of their Israelite origins) have been able to present, are alleged similarities of their customs and rituals with the Jewish ones and the mention of their putative Israelite origins several medieval texts. But most scholars are unconvinced, says Aafreedi. They either doubt the existence of the lost tribes or believe that even if they exist, they got assimilated in the Assyrian population in the seventh century BCE. While there remains a debate on the existence of the lost tribes, interestingly, the Qidwais trace their lineage from either of the two sons of the biblical character Jacob (Yahuda) or Lava. The progenitor of the Qidwais, the Sufi saint Qazi Qidwatuddin, who settled in India in 1191 CE is considered to be an Israelite by descent. But in asking this question in these terms, Aafreedi’s work suffers from making serious generalisations. The author did not specify the sectarian nuances of these groups, particularly the Pathans that are not a closed homogenous group. First, who among the Pathans claim descent from Israelite traditions? Second, even if all the Pathans, irrespective of the sectarian and intra-tribal differences, claim their origin from the land of Israel, why is immigration to Israel today a benchmark to assess their Jewish past? The anti-Zionist sentiments projected by “these groups”, as referred by Aafreedi, should not nullify their assertion to their origin that lies in the land of Israel. Navras ignores the principle of mobility that has shaped nations, communities, and territorial affinities of the people throughout the world. The Pathans, like others, have the right to claim Jewish origins despite being critical of the modern day state of Israel and upholding, if they do, anti-Zionist views. The discussion on the formation of Jewish religious identity in the region is central to the book and Aafreedi primarily credits this to the Judaising movements that emerged in Southasia, more specifically among the two percent of Indian Christians. Scholars Tudor Partiff and Emanuela Trevisan Semi, in their book Judaising Movement: Studies in the Margins of Judaism (2002, xi), explain, “…Judaising movements lead both towards formal conversion to some kind of normative Judaism… and to a process of ethnic identification with the people of Israel.” In India, of the three Judaising movements that emerged, two emerged in the second half of the 20th century – based on the claim of descent from lost Israelites, while one emerged in the 21st century based simply on the belief that Judaism is the true religion. The religious nationalists and Jewish scholars came in the scene when the B’nei Menashe sought contact with the Israelis in the 1970s. Following which, their immigration to Israel was facilitated and in 1988 Rabbi Avichail, the founder of Amishav (a religious nationalist organisation founded in Jerusalem in 1975), arranged for the formal conversion of twenty-four B’nei Menashe in Mumbai and the following year they immigrated to Israel. In the context of Zionism, the spirit of Judaic proselytisation, a term that Aafreedi refrains from using, was supported and channelised by right-wing groups in Israel, who “saw the B’nei Menashe as the means to boost Jewish population in West Bank and Gaza.” Amishav and Shavei Israel were dedicated to the search for the lost tribes and both the organisations together took a number of B’nei Menashes to Israel between 1981 and 2007 after formally converting them to Judaism. But where do these Southasian Jews find themselves within the social mix in Israel? Jews living in Israel today are largely divided into three main groups – the Ashkenazi, the Sephardi and the Mizrachi. The Ashkenazis are from Germany, France and Eastern Europe. Most American Jews today are Ashkenazis, descended from those who arrived from Europe in the mid-18th and early 19th century. The Sephardis are from Spain, Portugal, North Africa and West Asia. These are Jews who fled Spain after the end of Muslim rule there in 1492. Sephardic Jews are often subdivided into Sephardis and Mizrachis, from North Africa and the Middle East. There is a great social divide in Israel based on racist stereotyping between European Jews, Ashkenazim, and Jews of the Arab-Muslim world, Sephardim. In the early years of the Israeli state, the Mizrahi suffered racism at the hands of Ashkenazi elite. The Zionist narrative has tried to erase the Sephardi’s historical cultural identity. Going back to the past, the post-Zionism Mizrachi still talk about the ill-treatment meted out to them. They recollect memories of discrimination when the Mizrahim were placed in the maabarot, the squalid tent cities, upon their arrival in Israel. The Moroccan and other Mizrahi Jews faced humiliation at the hands of the Israeli immigration authorities who shaved their heads and sprayed their bodies with DDT pesticide. While writing on the problem of racism will require another academic endeavour, it is, however, crucial to mention the work of Yehouda Shenhav, Professor of sociology and anthropology at Tel Aviv University, who writes in his book The Arab-Jews: Nationalism, Religion, and Ethnicity, the Mizrahim were never really Zionists. Instead, he argues, the Ashkenazi establishment encouraged their immigration to address its own need for cheap labor rather than protect the Mizrahim. Shenhav maintains that “instead of saving the Mizrahi Jews, Zionism only ruthlessly displaced an entire community” from their Arab homeland, and removed its members’ right to determine their own future. He argues that Zionism liberated only European Jews but left out the Mizrahim who, like the Palestinians, are an abused Third World people suffering under the yoke of first world Ashkenazi oppressors. Aafreedi’s book concerns itself with members of the Judaising movements in Southasia who still find themselves on the margins of the ‘world Jewry’ and within Southasian nation-states as well. But, what needs to be asked is why do they –Southasian Jews – linger in the margins? Can this be understood in terms of the larger context of intra-Jewish discrimination on grounds of race within Israel? And what of the nature of religious syncretism in Southasia? These questions do not find an answer in this book. The introduction of sound brought an abrupt end to their film careers for they were incapable of delivering dialogues in Indian languages as they had never bothered to master any. For instance, the first star of Indian cinema Sulochana (Ruby Myers, 1907-83) could not act in the first talkie film Alam Ara (1931) that was launched by her home company Imperial, and the female lead role in the film was played by Zubeida became she knew Hindi. However, Sulochana decided to learn the language and in just one year’s time made an “ego-affirming comeback” with the record breaking talkie version of Madhuri. Another Jewish actress was Nadira (Florence Ezekiel, 1932-2006) who was cast by Mehboob Khan in the lead role in Aan (1956), India’s first techni-colour film. The film was a major hit and Nadira rose to fame, appearing in several other movies, including Nagma (1953) and Raftaar (1955). The Baghdadi Jews had a visible western influence in their lifestyle. It was this ‘westernisation’ that aided Jewish actors to swim against the popular notion that women ran the risk of maligning their reputation if they acted in films. Jewish women consciously chose acting as a career in Bollywood and indulged in the performing arts without any inhibitions. It was they who became the torchbearers for other Indian women from ‘respectable families’ to follow suit in later years. Public performances by women in early Indian cinema were a social taboo because of the gender socialization involved, thus invoking the traditional morality claims of the Indian audience. This was the general atmosphere then and it was in this background that Jewish heroines made a beginning. Suochana’s assertiveness also saw her launching her own production company, much like Pramila (the first Miss India in 1947). The book is replete with such stories of Jewish artists in India, who were well recognised in the public sphere for their work and also won accolades ranging from Padamshri, India’s fourth largest civilian award, to Sahitya Akademi Award, the National Prize for Literature. Almost all synagogues and Jewish cemeteries in South Asia have been looked after by Muslims ever since the Jewish population in South Asia dwindled as a result of the mass emigration to Israel. Most of the students in the Jewish run schools in India are Muslims. The longest serving principal of the oldest school of secondary education for Muslim girls, Anjuman-e-Ilsma, has been a B’nei Israel lady, Annie Samson, who served the institution for three decades. There are several examples of Jews who embraced Sufism and came to be revered by Muslims. The opposition to the Jews came from the Muslim leaders in India who were pro-Arab. For them the bonds of religion were stronger than the sufferings of Jews under Hitler. Keeping in view the sentiments of the Muslims towards this question, the government imposed many restrictions on the settlement of Jews in India. To pin the responsibility for India’s failure in providing asylum to the exiled Jews on Muslims is nothing short of a parochial reading of history. The time period mentioned in the title of the book, 1933-45, itself provides the answer to India’s reluctance in allowing asylum seekers. It was the most politically tumultuous time for Indians, both Hindu and Muslims alike; and there was no Muslim political force that could decide or influence the decision of the political leaders of the time in the subcontinent, who were struggling under the colonial rule. Though it suffers from making a few generalisations, the present book is, however, a successful attempt at discussing the history of Jews in India, and in initiating a dialogue for introducing Indo-Judaic studies in Southasia. A pioneering work, introducing Indian Jewry to the world of academics, Aafreedi lays the first stone for further research in the field of Jewish History in Southasia. ~ Ambreen Agha has completed her Ph.D from Jawaharlal Nehru University . Currently, she is a Research Associate with the New Delhi-based Institute for Conflict Management. Her larger area of interest is study of religion and its manifestation in both violent and non-violent forms.